Iraqis have been celebrating the death of Saddam on the streets of the capital, Baghdad. In a statement, Iraq's Prime Minister, Nouri Maliki, said the execution had closed a dark chapter in Iraq's history. Bassam al Husseini, the political adviser to Mr Maliki, said the execution was a gift to the Iraqi people. US President George W Bush said the execution was an important milestone on the country's course to becoming a democracy. While the British Foreign Secretary, Margaret Beckett, welcomed, what she described, as the bringing to account of the former Iraqi leader. The Government has said Ireland does not approve of capital punishment but the right of the Iraqi judiciary to hand down a sentence had to be accepted. The Taoiseach Bertie Ahern said Iraqi people have endured tremendous pain and suffering and now must face the issues of healing and reconstruction. 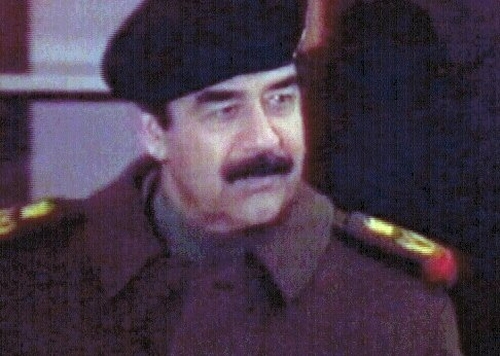 The Minister for Foreign Affairs, Dermot Ahern said he believes Saddam Hussein should have ended his years behind bars for his heinous crimes. He described Saddam as a tyrant and murderer but said only God can take life. Michael D Higgins TD, the Labour Party’s Spokesperson on Foreign Affairs, said showing the images of Saddam Hussein on the gallows was an abuse. In a statement he said; ''It is unlikely that his execution will achieve anything other than to further fuel the cycle of violence that has taken so many lives since the illegal invasion of Iraq. Mr Higgins added that the execution may bring some satisfaction to President Bush and the dwindling number of those who now support the invasion, but it will do nothing to contribute towards peace and reconciliation in Iraq. Flags were lowered to half-mast on public buildings and all festivities for the Muslim holiday of Eid al-Adha, which begins this weekend, have been cancelled. Israel hailed the execution and said the former tyrant brought about his own demise. 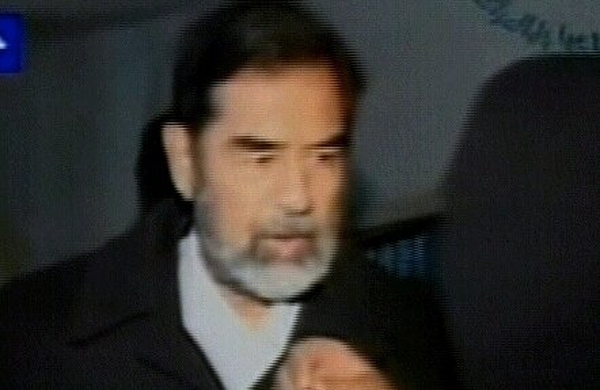 ''Saddam Hussein brought about his own demise. This was a man who caused a great deal of harm to his people and who was a major threat to Israel,'' said Deputy Prime Minister Shimon Peres, according to public radio. Israeli warplanes in 1981 destroyed the Osirak nuclear reactor near Baghdad after suspecting Iraq of aiming to build nuclear weapons. Iraq bombarded Israel with Scud missiles during the 1991 Gulf War, causing panicked Israelis to stock up on gas masks for fear of a possible chemical attack, a measure which was repeated with the launch of the US-led invasion of Iraq in 2003. The execution prompted celebrations from Iraqi expatriates in Australia, with people taking to the streets in Sydney's west to cheer, dance and wave Iraqi flags. But police were later forced to intervene and separate revellers after minor fights broke out between rival Iraqi groups. Foreign Minister Alexander Downer said while Australia opposed the death penalty, Saddam Hussein had faced justice and a fair trial and had been found guilty of crimes against humanity. ''The people of Iraq now know that their brutal dictator will never come back to lead them,'' Mr Downer said in a statement. The Vatican has said that the execution of Saddam Hussein is a ''tragic'' event that risks fomenting a spirit of vendetta and sowing new violence in Iraq. ''A capital punishment is always tragic news, a reason for sadness, even if it deals with a person who was guilty of grave crimes,'' said Vatican spokesman Father Federico Lombardi. The spokesman said the position of the Church against capital punishment has been restated often. ''The killing of the guilty party is not the way to reconstruct justice and reconcile society. On the contrary, there is a risk that it will feed a spirit of vendetta and sow new violence'', he said.